QuickBooks looks at business data from today & in the past. 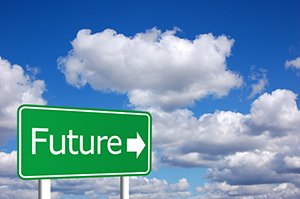 By combining QuickBooks (any version) & CashFlowTool, business owners can immediately forecast their future. Imagine being able to see the metrics, patterns and trends that you would otherwise miss. CashFlowTool makes it possible. Just because you are using QuickBooks Desktop, doesn’t mean you cannot take advantage of the cloud. Imagine if you were able to see key metrics about your business on a regular basis, delivered right to you automatically. You would start to see patterns and trends you would otherwise miss. Seeing key metrics on an ongoing basis, would prompt you to ask better questions and dig deeper. This would result in you being able to act faster and make better decisions. Knowing your team is well informed, creates a peace of mind. Unfortunately, to take advantage of these services often meant migrating from your current QuickBooks Desktop environment to QuickBooks online, or changing accounting programs, until now. 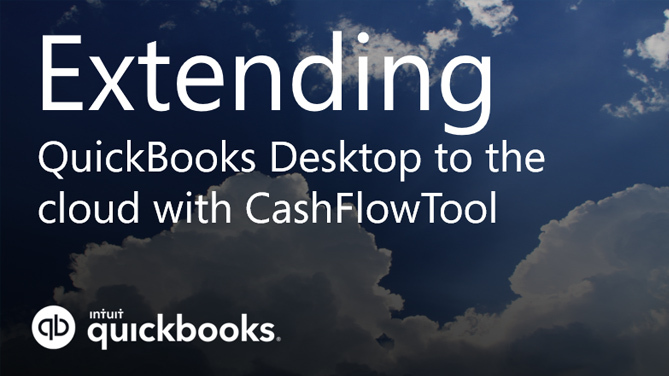 CashFlowTool.com fully supports QuickBooks Desktop making it easy to sync data from your local desktop machine to CashFlowTools cloud services. In just minutes, CashFlowTool unlocks your QuickBooks data, and creates a fully customizable dashboard which you can share with your entire team. CashFlowTool automatically runs dozes of reports for you each time you sync, and generates over 30+ key metrics and a complete cash flow forecast for your business. If you are using QuickBooks Desktop, typically only your bookkeeper or accountant has access to all of the books. Because only a few people have access to the company’s financial data, management teams often make key decisions without reviewing key business metrics. For the bookkeeper, generating dozens of reports on a regular basis is time consuming. Even if the reports are generated, they get ignored because they don’t highlight what you need to know. The reports create more noise, and are too time consuming to review and parse. With CashFlowTool, everyone on your team has access to cash flow forecasts, and key business metrics automatically. You can continue to use QuickBooks Desktop, while enjoying the benefits of cloud services, safely and securely. There is no need migrate your QuickBooks Desktop data or change accounting packages. Select QuickBooks Desktop while setting up your business. Now you are ready to take advantage of everything CashFlowTool has to offer. Some important details to know. CashFlowTool is safe and secure. We use bank level encryption and strict data protection policies to keep your data safe. You have full control over who you invite to access your business, and can revoke individuals’ access at any time. Syncing of data occurs when you select the Finagraph Connect option from the QuickBooks Company menu. Syncing progress is shown in the system tray and typically takes between 5 and 30 minutes to complete depending on the size of your desktop file.